Khloe Kardashian has opened up about her marriage to estranged husband Lamar Odom, calling it the most "magical, special time" in her life. Rumours continue to circulate about the state of the pair’s relationship after the basketball player’s collapse at a brothel a few weeks ago. His wife - who still remains legally married to him, despite their split in 2013 - rushed to be buy his side with all the Kardashians in tow to support the troubled star. 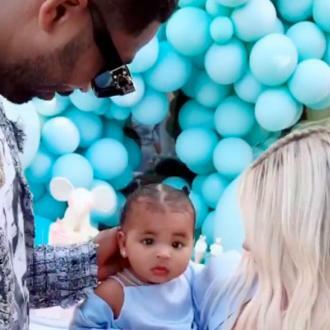 Since first being hospitalised, Khloe has sought to dismiss divorce proceedings that she began two years ago and has been a constant by Lamar’s side. Speaking to PEOPLE magazine recently, the reality TV star has also reflected happily on her marriage to Lamar and talked about how she didn’t intended for their relationship to end. She said: "It was a choice I had to make. But I will always love him. You don’t have to be with someone in order to love him. "If you asked me a year before, I would have never said I was going to get a divorce. "I never wanted it to end. But I know I did everything I could. Divorce was my last option. But I would rather have had [our marriage] for that limited time than to never have had it all." She added: "It was the most magical, special time in my life and I know what we had was really rare."